We make art that helps com­pa­nies affect real change, both inside and outside the organization. We amplify your ideas in ways that deeply impact your teams, cus­to­mers and stakeholders. We use scien­ti­fi­cally vali­da­ted methods to ignite crea­ti­vity, spread ideas and arti­cu­late sha­red purpose. We ena­ble mea­ning­ful con­ver­sa­tions and get peo­ple to work smar­ter, more crea­ti­vely, and stay focu­sed on the things that really matter. We give you the tools you need to move your busi­ness: Inte­llec­tually, crea­ti­vely and profitably. We moved the blog over from the homepage to gapingvoid.com/blog. I’m still drawing as many cartoons as before, and the the coolest newsletter on the face of the earth still goes out, five times a week. 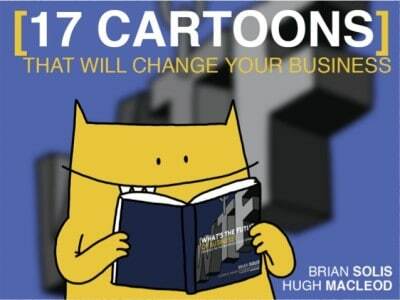 gapingvoid started out as my personal blog over twelve years ago, now it’s about something much larger and exciting: Using art to help businesses change. People ask, as an artist, why are you so obsessed with the office? And I answer, because that is where the action is, that is where we all need the most help. Sure, there are other places where the human drama takes place: homes, bars, restaurants, schools, shops, the street etc. But considering how central business is to our lives, I find it odd that more people don’t understand how important art can be to the work environment. 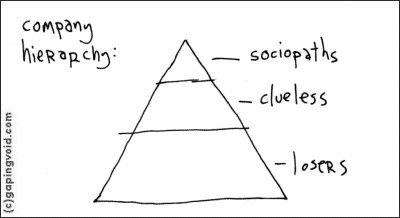 So gapingvoid is on a mission to help them understand this better. Hope you like the new design, and if you think you can help us with our mission, we’d love to talk to you. 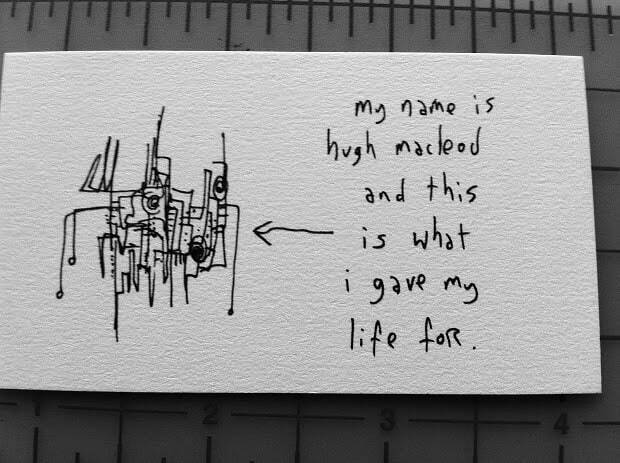 Email: hugh at gapingvoid. Thanks! I think you’re more than a business now. More like an industry. A good thing in my book! Well done. Nice responsive design + the design better reflects the quality of your content. Hot damn, give the designer(s) a hug! From small screen to giant, this is fabulous.